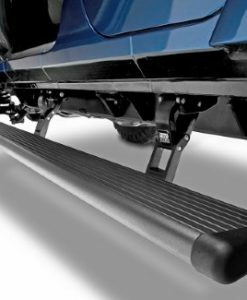 Step Bars and Running Boards are very popular add-ons for trucks and SUV’s due to their functionality and added good looks. They have evolved tremendously over the past few years with the introductions of different materials and methods of productions. 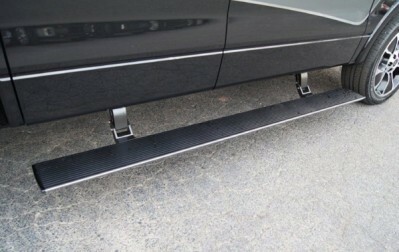 Vehicle manufacturers charge a ton more for an option like running boards which is not necessary. At Mr. Kustom we carry some of the top brands and our guys know quality running boards and step bars because they have been in the business for over 30 years and proven their work to be the best of the best. 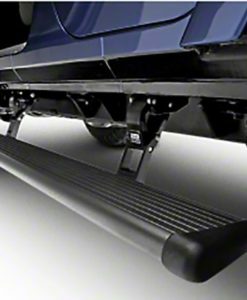 We can guarantee that the running boards and step bars we sell will fit your truck or SUV like a glove. Just because it’s an aftermarket product shouldn’t mean you can’t get OEM fitment. In fact after market boards and step bars may fit better and may even last longer. 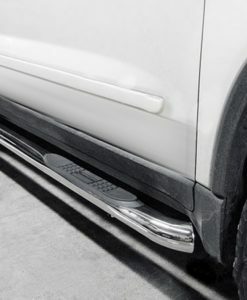 Years ago running boards and step bars had a similar shape and style to them, but not today. We carry all kinds of different styles, shapes and finishes. Whether you want stainless steel, chrome, black, or any other finish that match the attitude of your ride, we have what you need and want. Some boards we carry are even equipped with lights which can be handy for getting into your truck or SUV at night. Over 30 years in the industry! 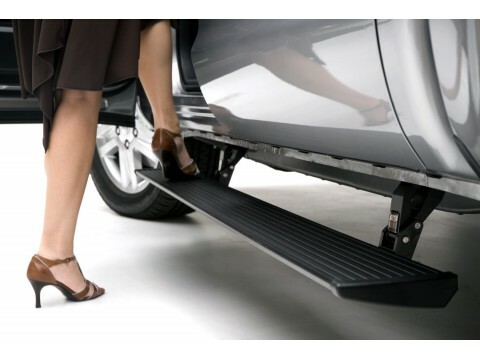 Contact us with any inquiry you may have about our Running Board & Side Step products! This product can be installed while you wait in our customer seating area.